Party pool beach raffia wide brim sun hat. 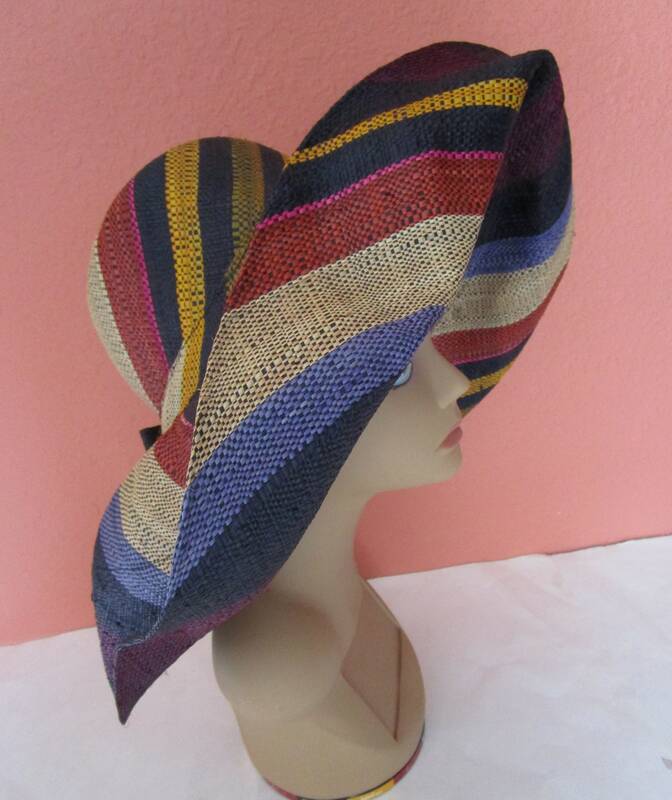 Handmade natural straw hat with diagonal striped design. Beautiful muted dark natural dyed colors. Soft, posable and loosely bendable. Condition: Very good vintage condition, slight misshape. See photos. Size: Measures 26" inside circumference at seam but seam rolls out. 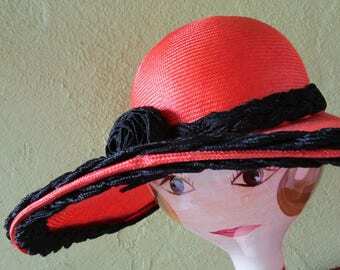 My head measures average 22-1/2 and hat fits easily, 21" inside diameter side to side. 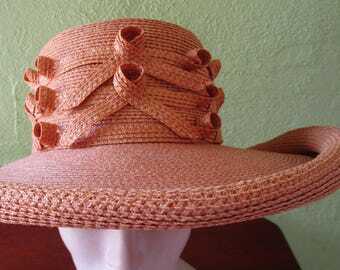 7" front brim, 4-1/2" tall crown height.